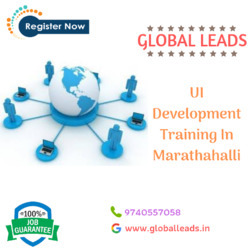 Global Leads is the leading UI Development Training Institute in Marathahalli. We offer in-depth insight into UI Development world. Live projects for practice and placement oriented career in UI world. Call now to book for the free demo class.